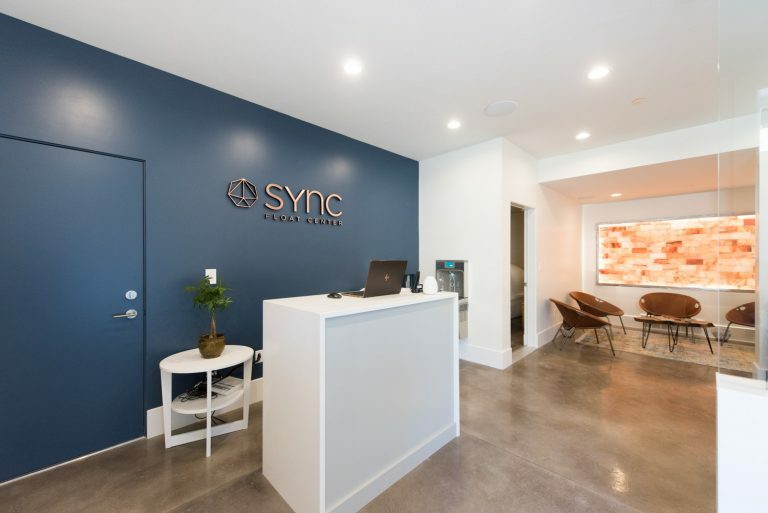 Welcome to SYNC Float Spa. 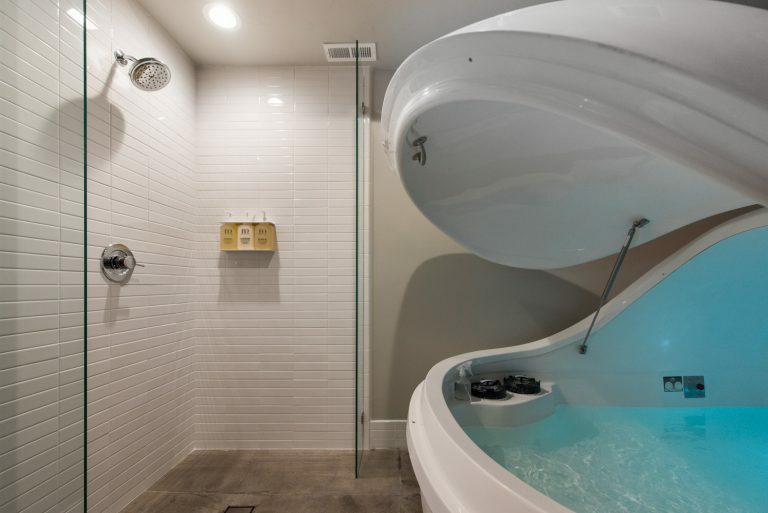 Our facility has been built from the ground up with the intention of creating an optimal float experience. Our float spa has three private rooms so you come with your date or your friends! Click on the 'Schedule A Float' button to book your float now! A glowing Himalayan salt-brick wall, modern nature-themed art installations, and state-of-the-art float pods. We're not kidding around: both the service and the space are top-notch. Soft slippers, high-quality EO bodycare, hand-selected tea, and a post-float styling room—we've taken care of all the details. The only thing missing is you. Hi, we're Michelle and Justin. Nice to meet you! Michelle’s career path follows her personal areas of curiosity and need to share her passion for wellness. After earning her bachelor’s of science in nutrition, Michelle chose to spend the next fourteen years doing front-line community education. She has been a private nutritionist as well as a team leader focused on taking control over one's health at The Wedge Co-op in Minneapolis and Whole Foods Market in Park City. After floating for the first time in 2015, she knew immediately she needed to offer this service to her community. In addition to her passion for floating, Michelle enjoys yoga, meditation, reading, snowboarding, and river trips with her husband and daughter. Regardless of the activity, Michelle tries to always remember happiness comes from having meaning in your life, and meaning comes from helping others. Justin Hunter was that kid in your grade school class that read the encyclopedia for fun and couldn’t understand why others didn’t enjoy science as much. His love of learning led him to graduate from the University of Utah with a degree in Health Promotion. He has spent 9 years in the health and retail industries, including time spent in rehabilitation hospitals, physical therapy clinics, and 6 years with Whole Foods Market. Justin began floating in 2015 during a particularly stressful time in his life. What he discovered was not only a tool to mediate the pressures of life (including relief from a decade-long headache) but also one that empowered his body and mind. It wasn’t long after his first float that he knew he wanted to share this therapy with others. These days, Justin uses floating to keep up with recovery from cycling, weightlifting, and wrestling matches with his six nephews. An experience like no other. If you have a large transition in your life quickly approaching, this is the perfect way to reflect. I am rejuvenated and relaxed.